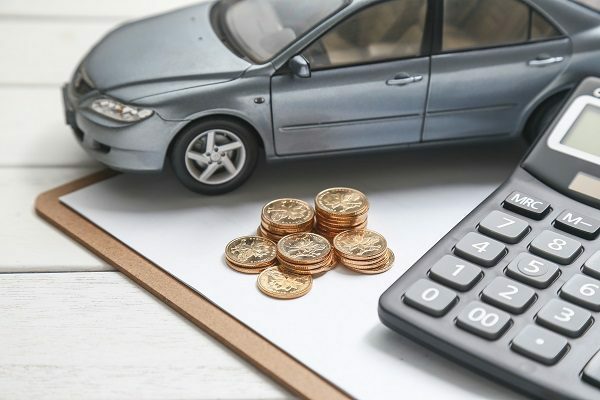 Whether you are opting for traditional financing from banks or a rent-to-own vehicle finance plan, it can be hard to determine your available budget for a car. Most experts say that you should not be spending more than 20% of your monthly net income on your vehicle. The 20% of your income ballpark figure should include payments on all of the vehicles you own, whether you own one or more cars. Also remember, this figure applies to the amount of money you have in your pocket after tax, not your gross income. Now, you need to calculate what your car payments will be. If you have just seen the car of your dreams and the price tag of this car, you need to know what the monthly installment is going to be, so that you can determine whether you can afford the car or not. Determine the interest rate by dividing the number by 100. Divide the interest rate on your car loan by 12. Write this number on a piece of paper. Multiply the number by the loan’s principal amount (the total amount of your car loan). Write this number down as it will be used in your final calculation. Remember to subtract your down payment from the price of the car to establish the principal amount that you will pay. Recall the number you got from dividing the interest rate by 12 in step 2. Add 1 to this number. Take the sum from step four to the power of the number of months included in the terms of your loan. For example, if you are going to be making 36 monthly payments, multiply the sum from step 4 by 36. Calculate 1 divided by the result from step 5. Round this number to the nearest hundredth place to make it easier to work with. Subtract this number from 1 for use in your final calculation. Divide the number from step 3 by the number from step 7 for your final monthly car payment. You can avoid the math by using an online car payment calculator, which can be found on many of the auto dealers’ and many banking websites. Remember to include the costs associated with owning your car, namely vehicle insurance, maintenance, tyres and roadside assistance. Rent-to-own vehicle finance is an easy way to get a reliable set of wheels without having to pay the monthly interest rate levied by the banks. For more information about easy vehicle finance, contact Earn-a-Car today.